I simulated a Giants vs Lions game and this is what Madden said would happen. The Detroit Lions will beat the NY Giants 12-7. Mathias Kiwanuka will have 2 sacks. The Giants will force no turnovers. Eli Manning have a 195 yards passing and no touchdowns and no interceptions. Brandon Jacobs ran 12 times for 70 yards and a touchdown. Hakeem Nicks had 65 yards receiving and no touchdowns. Jason Hanson hit all four of his field goal attempts. Oh, boy, this kind of game would be one of the most miserable football occurences in a long time and could spell big problems for the Giants. If the G-men can’t score more than 7 points at home vs the Lions this season could be in big trouble. The Giants will be much more pretenders than contenders. The Lions have some good offensive weapons so if they kept the Lions to 12 points including no touchdowns I’d be very happy with that, but if they only score 7 I’ll being release my draft scouting reports for next season because this season will not be getting better anytime soon. 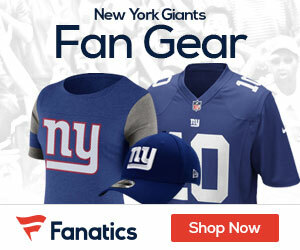 Thoughts and comments: is there any worse possible scenario that could happen than a 12-7 Loss at home to the Giants? My madden season (simulated) now has the Giants 2-3-1. Why do you have any opinion at all on a simulated madden game? No, real opinion. I just thought it’s a bit interesting that’s all. I obviously do not think it will in any way indicate what could happen tommorrow. I literally laughed out loud… so LOL. People, seriously he’s not using Madden as any serious indicator of what will transpire this season. He’s simply having fun with it. I think it’s pretty cool and interesting as well…keep it up Jesse! Just a thought, maybe you should update your rosters and see if you get any better results. It’s not fair to ask the Madden Gods to do their best work with out of date rosters…lol!!! Keep up the good work and thanks for always keeping us in the know. The roster updates are a joke, until Bradshaw moves ahead of Matt Forte and Goff goes over a 65 overall, they obviously don’t pay any attention to the NFL when it comes to the rankings, only monday morning sportscenter.